At Elite Elevator Services, we’re specialists in keeping elevator systems up and running for customers in Philadelphia, New Jersey, and the Delaware area. Our services cover the full range of elevator maintenance and repairs. Contact us online or by phone at (215) 774-9809 for all your commercial elevator needs. In addition to routine maintenance, repairs and emergency response, we also offer basic and comprehensive maintenance programs, each of which comes with a list of services and benefits designed to keeping your elevator system up and running. 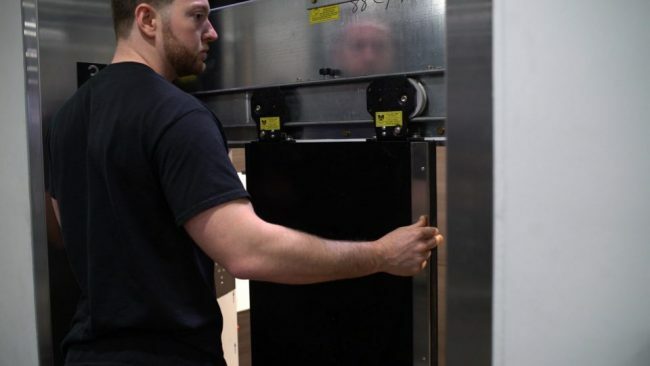 From the internal and external components of your elevators to the central control fixtures, we cover every aspect of your elevator system. Whether you’re looking for as-needed service or an ongoing maintenance contract, our team will offer you the highest level of quality and workmanship. We’re dedicated to helping you keep repair costs and downtime as low as possible through early detection. When the time comes to make repairs and replace various parts, though, we specialize in these services as well. Advancements in design and technology are continually developing, making upgrades a must. From electrical components and mechanical parts to aesthetic elements, we cover the full array of system improvements. Guarantee your system is expertly installed – ON SCHEDULE! We’re also skilled at restorations. In the event you’d like to hold onto the nostalgic or ornate appearance of an antique or vintage model, we can offer solutions. 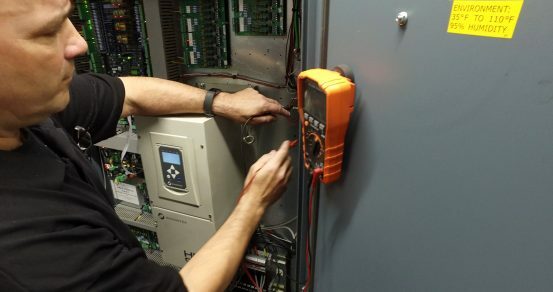 Our highly trained team may be able to replace your elevator system’s electrical and mechanical components while preserving its decorative features. Reach out to us, and let us know what you need. We’ll make it happen. First and foremost, you are not locked-in to one elevator company for the life of the elevator. In many cases, OEM diagnostic tools are only available to OEM mechanics. When proprietary components become obsolete, you cannot shop another vendor for a replacement. Non-proprietary equipment is less expensive to install and maintain. You can obtain bids from several companies to compare pricing. Same-day technical support is provided to all elevator companies. If you are entertaining a bid from one of the major manufacturers, be sure to ask if they are proposing proprietary equipment. Our team consists of top professionals in the industry who’ve been hand-picked for their training and experience. We’re proud members of the International Union of Elevator Constructors – Local 5, meaning our mechanics have received the highest level of training and we’ve consistently proven our commitment to staying on top of the latest developments in the field. These and many other elements set us apart from others in our industry. Whether you’re dealing with an unexpected shutdown or looking for a new state-of-the-art system, we’re here to help. As your all-inclusive commercial elevator service company, we cater to all your needs. Visit our contact page, and let us handle your commercial elevator system needs.